We’ve all been there. When life gives you an extra dosage of reality. You pop a tire on the side of the road, right before you start your new job, You’re so nervous about work that you can’t sleep, and the inevitable, can I really do this; thoughts that suffocate your consciousness. When life gets us down, we usually turn to our favorite guilty pleasure. For me, It’s sixteen ounces of cherry ice cream with cherries & fudge flakes, brought to you by Ben & Jerry. A pint later, and I’m almost as good as new, ready to fight on. But what if, it feels like life gives you extra dosages of reality, day after day, and ice cream isn’t cutting it anymore? They call it comfort food for a reason, so why are we feeling depressed? According to Family Doctor, “Your body responds to the way you think, feel, and act. This is one type of “mind/body connection. : When you are stressed, anxious, or upset, your body reacts in a way that might tell you that something isn’t right.” An example of this instance would be developing high blood pressure after a stressful event. Nowadays it seems like we don’t have time for anything anymore. We’re working two jobs, always trying to catch up on the latest trends and by the end of the day we just want to relax. We’re exhausted and drained. We stop by the nearest fast food and stomach what we can. Over time, we feel sluggish, our mood starts to change, why? Therese J. Borchard, a mental health writer and advocate states, “But too much of some of this stuff and you may become unlikeable, to yourself and to everyone around you. A mound of research shows that what we consume goes right to our limbic systems, the emotional headquarters of our body.” She recommends avoiding: Refine sugar, Artificial sweeteners, Processed foods, hydrogenated oils, foods in high sodium, alcohol and caffeine. If we feed it crap, we will feel like crap. If we treat it like the Cadillac we borrowed for the night, it will return the kindness. Food is like a pharmaceutical compound that affects the brain. The more balanced you make your meals, the more balanced will be your brain functioning. Healthy lunch. 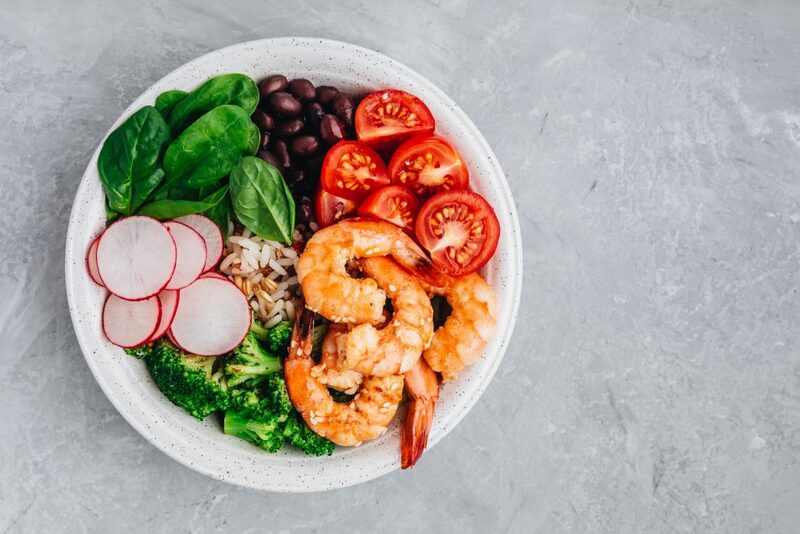 Shrimp Burrito Bowl with brown rice, spinach, radish, black beans, tomato and broccoli. Don’t fret, we live in a world where vegetarian and vegan options are available to us now. There are healthy alternatives to maintaining that healthy balance between work schedule and personal life. 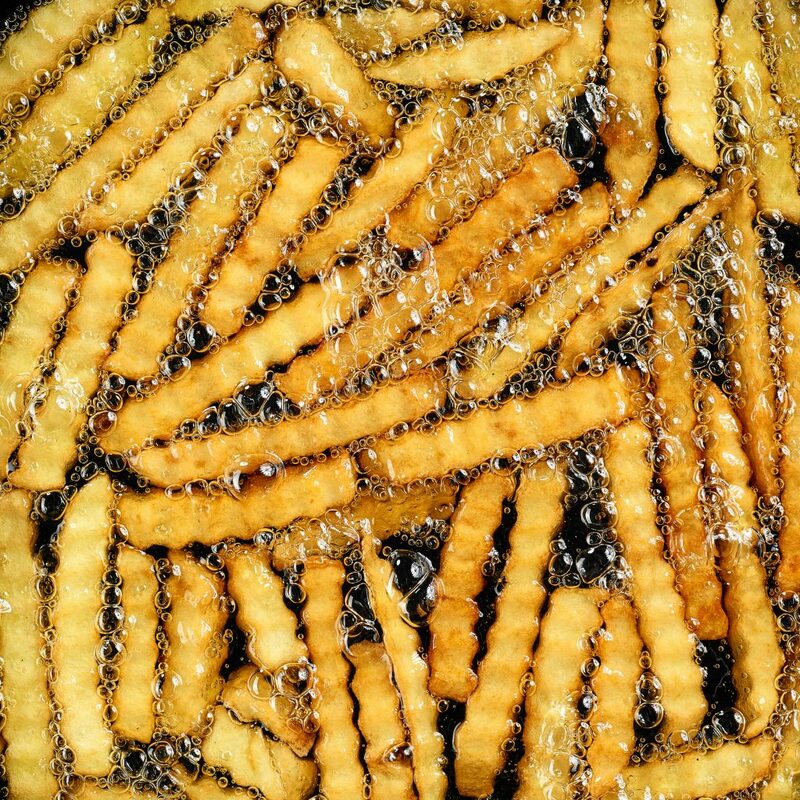 Good News Network suggests, “swapping out french fries for baked sweet potato fries, using salad style ingredients on pizza, adding cauliflower or zucchini ribbons in mac and cheese or pasta. Even seaweed fries and sesame seeds.” It’s a struggle and it’s going to be tough, but you only have one life to live, so make it a healthy one, for mind, body and soul. Can You Have Fun in Vegas Without Gambling or Getting Drunk? Sylvia valdez is a writer and photographer. After graduating with a BA in television, film and media studies, from California State University- Los Angeles, she has participated in the Spirit Awards Festivals. Her working experience includes reporting, photographing and Script Development Reading. She continues to write and photograph while raising awareness about mental health.